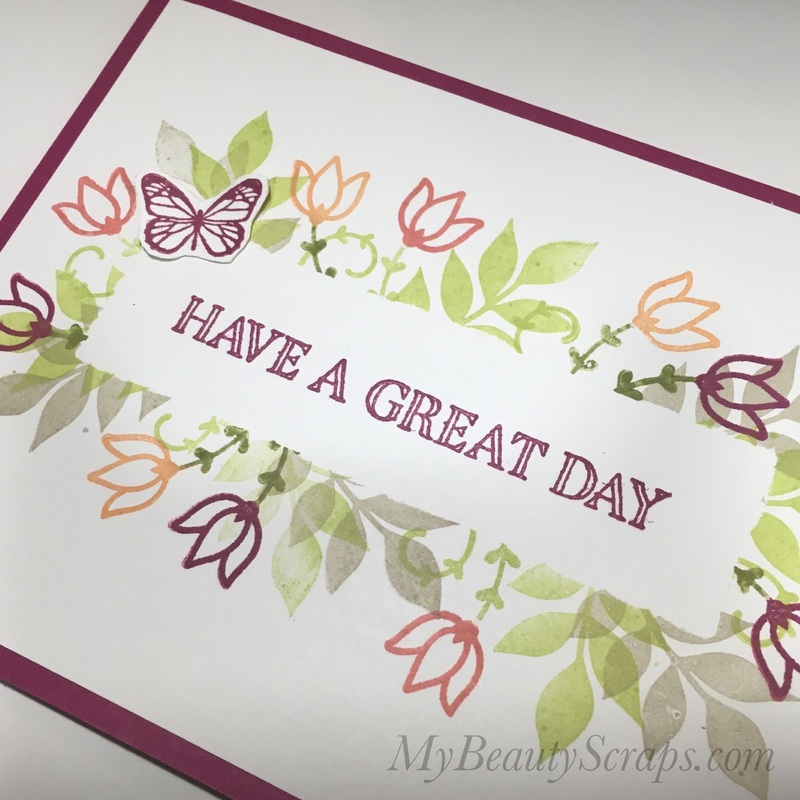 BeautyScraps: Alternative Card Idea #2: December 2017 Paper Pumpkin Kit Flora and Flutter by Stampin' Up! 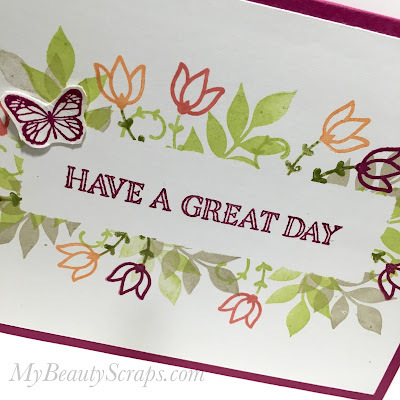 Alternative Card Idea #2: December 2017 Paper Pumpkin Kit Flora and Flutter by Stampin' Up! 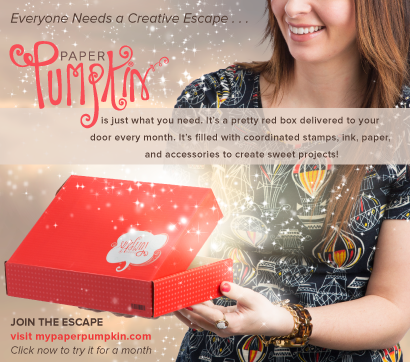 One of my favorite things about my Paper Pumpkin subscription is getting an exclusive stamp set every month. After I have used up all of the contents from the kit, I can use the stamp set over and over again to create all sorts of other projects. 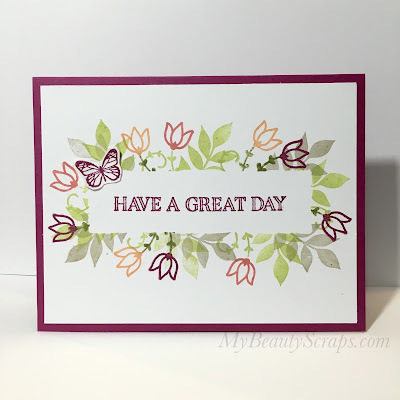 To create this card, I simply used this kit's stamp set, ink & cardstock. No fancy tools or embellishments required - super simple & fun! 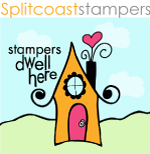 To block off the rectangular area for my sentiment I used a 1" wide strip of post-it tape cut to 3 3/4" long. I haven't played with the Masking Technique for a while. 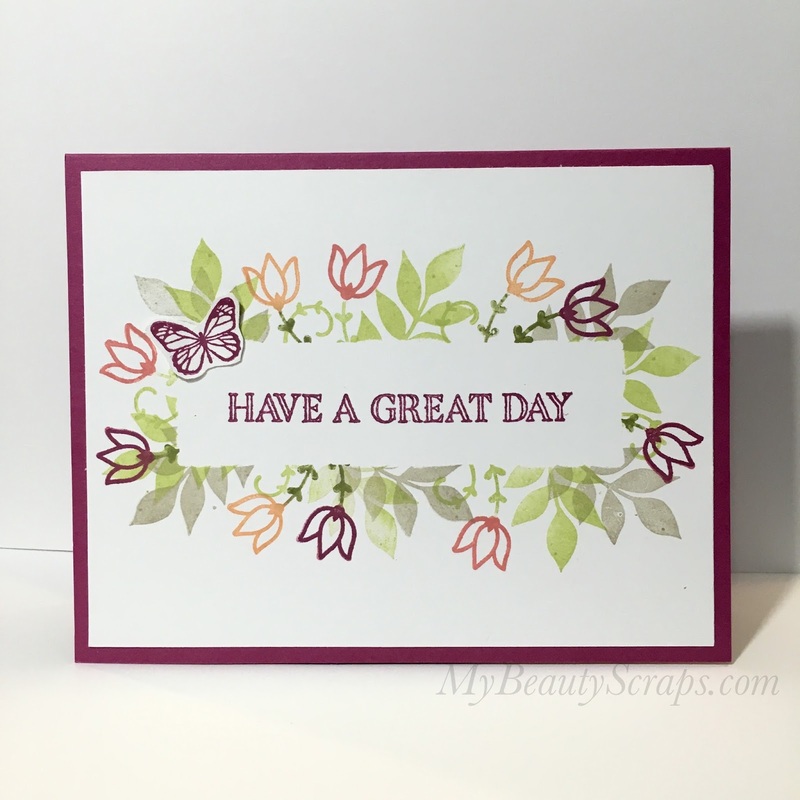 It's really a great way to highlight an area for a sentiment without adding layers to your card.